Facebook knows everything about its users or at least more than people would think. The “I like it” company, keeps a complete record of the name, age, and geographical location of their millions of users. The social network, founded by Mark Zuckerberg, also handles information about your travel, favorite singer or sports teams, including your romantic relationships. The company decides, based on that data, what advertisements to show, or not, to its users. Facebook uses Database Marketing efficiently and is a good example to small businesses. However, it is not necessary to be Facebook, Google or Amazon to implement Database Marketing. This technique began 30 years ago, but technology advances allow small businesses to collect, handle and analyze a greater volume of their user’s information faster and cheaper. Guess who is making your Internet slow? Netflix! After all, Database Marketing is just to collect data from clients or potential customers of a company, analyze it and create strategies to improve communication with them, as well as improving sales. So, how to start working on Database Marketing in a small business? The first step is to identify the critical data for the business. A restaurant, for example, may need to know how many diners live or work in the surrounding area, because they are the first market niche. On the other hand, for a tourism company, information about the seasons when their clients use to travel and buy tickets is the most valuable. Creating a digital form to register your clients’ data should be your next step. Health-care small businesses could prepare an online customer satisfaction survey. A five-question questionnaire can provide relevant data such as: how often people visit a cosmetic medical center, how much they spend annually on it, and what kind of treatment they would take in the future. The third step is the analysis of the collected data. Actually, this is the core of Database Marketing, because this is the moment when you identify trends to create a more accurate marketing strategy, segment the target, identify new market opportunities and develop new products. Going back to the case of the restaurant, if most of its clients live far away, they should consider opening a branch in another area of the city. While the tourism company could design an Email Marketing strategy just for travelers who like enjoying the Spring Break or the Summer. Meanwhile, the cosmetic center could launch special offers for those treatments people prefer. 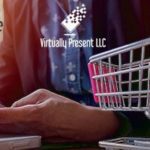 Database Marketing is a very efficient technique to small business to learn about their current and potential clients. This tool also allows business owners to realize where to focus marketing work. We invite you to try this technique. It is very easy; prepare a Google Form and start collecting the most basic data from your clients.